Blue Quartz helps us to express ourselves more clearly and to be more considerate and thoughtful towards others. 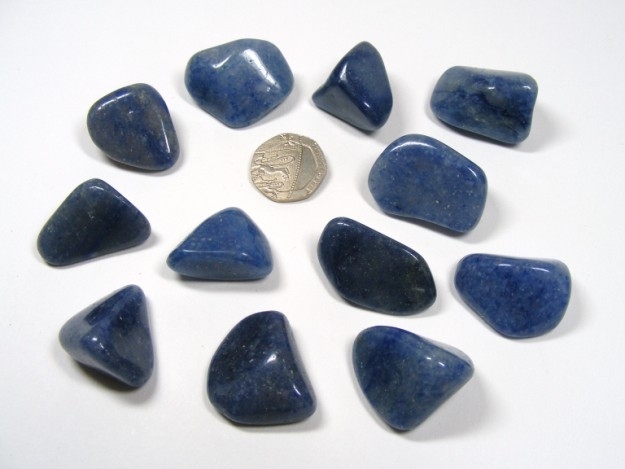 Blue Quartz has been used in the treatment of disorders of the spleen, the endocrine system and the blood. It strengthens the immune system and can help the thyroid gland. Blue Quartz is said to be good for the eyes. It can be used to ease tension in the throat and can help the body to detoxify, cleanse and repair itself. It is useful, in general, for the organs of the upper body. Blue Quartz helps to alleviate our fears and can help us to connect with others. It is said to reduce shyness and encourage our reaching out to other people. It is a good stone for stimulating relationships as it can be used to encourage consideration and thoughtfulness towards others. It helps us to become less introverted and to enjoy new experiences. It allows us to enjoy being independent and uninhibited. Blue Quartz can help us to express ourselves more clearly, improve our communication skills and to increase our levels of creativity. Meditating with Blue Quartz can be good for those who wish to work with higher forces and the angelic realms or those who undertake dreamwork.